What’s It About? 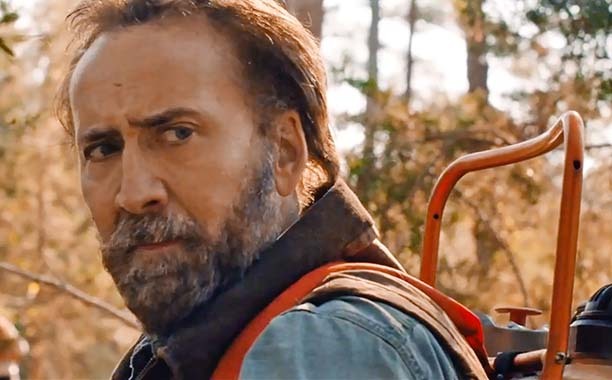 Nicolas Cage stars as the titular character in David Gordon Green’s drama, a never-far-from-trouble ex-con in small-town America. He runs a small tree poisoning group that takes on youngster Tye Sheridan’s Gary and his father, alcoholic Wade (Gary Poulter). Joe and Gary become unlikely friends as Joe tries to take some responsibility for something whilst keeping his life and temper in check. Verdict: Nicolas Cage is a curious actor. As polarizing as anyone, he can be at times both laughable and incredible. Anybody who saw Abed’s Cage-impression meltdown in the last season of Community, or even some of Cage’s recent performances, may find it hard to take him seriously again. But in Joe, Cage delivers his best dramatic performance in years. Joe is a man who is undoubtedly well-meaning and well-intentioned, though also a man struggling to stay on the right path, and not succumb to alcohol and rage. This film is about as far as possible from some of Gordon Green’s recent directorial outings, which include broad comedies Your Highness and The Sitter, and far more in line with some of his earlier output, such as All The Real Girls. As such, it is a real return to form for both Gordon Green and Cage. The trailers suggest quite an action-packed, violent ride, though the moments of violence work so well in the film because they come as a shock, in contrast to the slower pacing of the majority of the film. Joe never loses focus and builds up to an inevitable conclusion, in a similar vein to films like American History X and Gran Torino. The finale packs a powerful punch, and there are a handful of standout scenes that will take viewers through the mill, including a scene of dogs fighting which is particularly hard to watch, though nothing is actually shown. The father-son relationship is what this movie hinges on, between Gary and his biological father Wade and his father- figure Joe. Sheridan is brilliant as the young boy who shows signs of both childhood and adulthood, in need of a role model to help him choose a good path (as he was previously in Mud). Joe becomes the man to do this, despite not being able to choose the right path himself. Though both Cage and Sheridan put in very good performances, it is Gary Poulter as Wade who steals every scene he is in. He gives an amazingly real performance, made all the more poignant by the fact he died soon after production ended. He was found on the streets by director Gordon Green and it’s a real shame we won’t get to see him in any more roles, as he is simply incredible here. It’s hard to think of somebody playing an abusive, alcoholic as powerfully and truthfully on screen. Final Words: Joe is a moody, gritty depiction of a small town in the American South, with a plot that emerges just from us watching their everyday life. A great, slow-burning film featuring three amazing performances and some truly standout moments. Joe is released in cinemas and on demand on 25 July 2014.